Harrys begun his career in 1994 with Elka Shipping (London) Ltd., a large dry bulk and tanker operator and in 1995 joined the Shipping Banking Group of the Commercial Bank of Greece as a credit analyst in the bank's London office. In May of 1997 he moved to New York to join AMA Capital Partners (formerly American Marine Advisors, Inc.) a maritime investment bank, where he specialized in corporate workouts, project structuring, capital raisings and other merger & acquisitions advisory assignments. 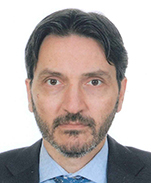 In the summer of 2004, he moved back to Greece after 22 years of leaving abroad, and joined Tsakos Energy Navigation, Ltd. (TEN), a New York Stock Exchange listed tanker company to develop the company's corporate finance activity and liaise with the company's investor base particularly in the US and Europe. Harrys holds a BA (Hons) in Classical Studies & Politics from the University of London (Queen Mary) and an MSc in Shipping, Trade & Finance from London's City University (Cass Business School). In 2001, Harrys completed an executive corporate finance and accounting program at Columbia Business School in New York while during his tenure in TEN, he has been a frequent speaker in various conferences across North America, Europe and the Middle East.